Last year I joined a creative group of quilters where quarterly we crate a small art quilt based on a chosen theme. Our group is called the Endeavourers and it is such a creative treat to see all the interpretations of each theme. This quarter the theme was Texture. While I was brainstorming ideas of how to execute this challenge, the image of quilted texture came coming back to mind. 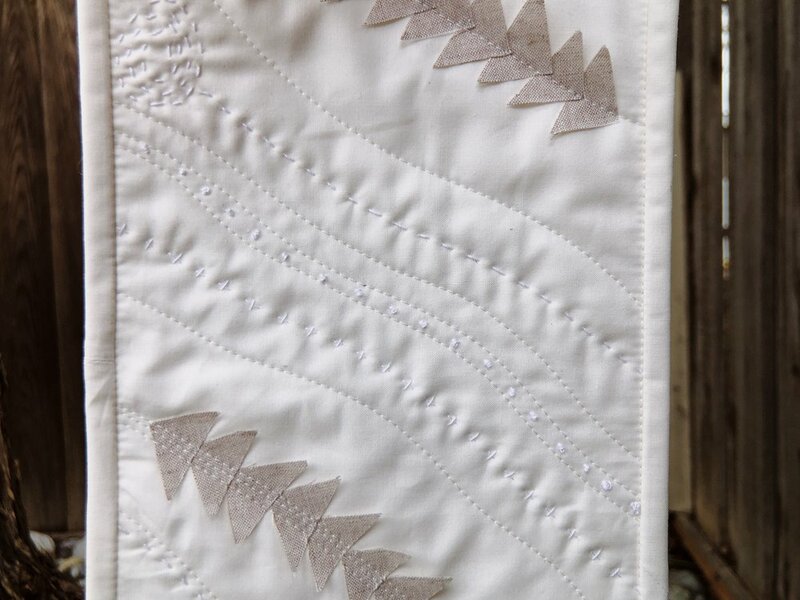 As a quilter I’m always fascinated by the infinite number of quilting patterns and stitching techniques and how each variation creates a completely different texture on a quilt. So I decided to create sort of collage of stitches using various thread weights in the same color as the background, I wanted the color of the thread to blend in with the background and just and let the imprint of the stitches do the talking.